If you own a hydrostatic drive Case IH machine then you’ll be interested in this product. This is a new replacement for the drive hub. This replacement now has a cross dilled and tapped hole for a grease fitting. 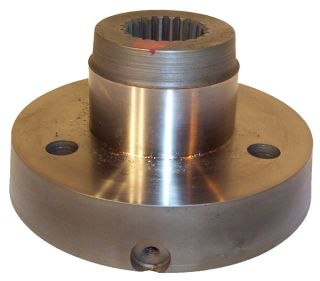 This allows you to lubricate the connection between the hub and drive shaft, which will help prolong the life of both components. We have absolutely every part in stock to be able to service these Case IH hydrostatic drives. 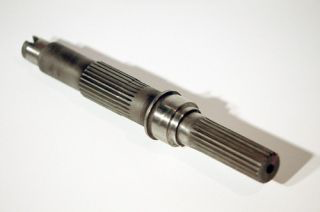 If you feel up to the challenge, we can supply you with the parts to replace your worn out shaft. We usually recommend that we service these pumps for you. The units will be disassembled, visually inspected, resealed with new gaskets/seals and then tested to ensure proper performance. If the pump is received at our shop early in the morning, we can usually have it finished by the end of the day. This is type of service is crucial at harvest when time is so valuable. Call us today and talk to one of the parts guys about all our Case IH products.